SINGAPORE (August 7, 2018) – Crown Equipment (Singapore) Pte. Ltd., part of Crown Equipment Corporation, one of the world’s largest material handling companies, led the Logistics Equipment Company category with its innovative InfoLink technology at the Singapore Business Review (SBR) International Business Awards 2018. The SBR International Business Awards honor international companies making significant contributions to business in Southeast Asia.The SBR organization encouraged participants to showcase their most innovative technologies, projects and specific products in operation utilizing industry-leading best practices that effectively improve business operations for companies in the Southeast Asia region. Successful nominees were invited to present their best case studies to a selected panel of experts. This year, Crown presented the InfoLink® Operator and Fleet Management system as its winning entry, a wireless solution that puts the power of accurate, on-demand business metrics at the users’ fingertips. 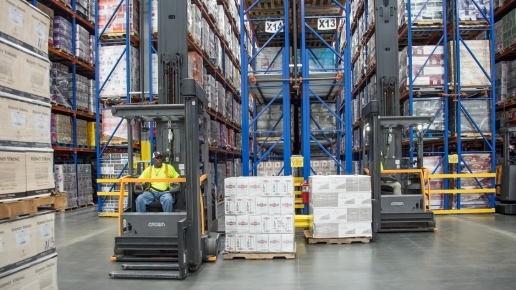 Crown brings the benefits of technology to material handling by connecting forklift trucks, operators and facilities and collecting accurate, real-time information for better decision-making. 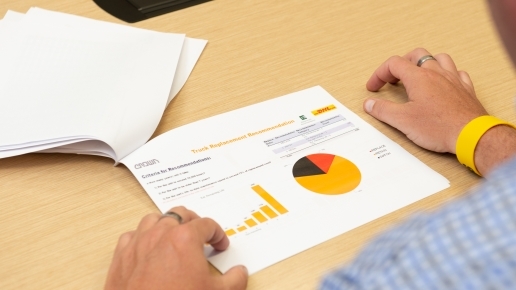 The solution also enables the monitoring and management of operator factors that affect the bottom line, including compliance, impacts, and productivity. InfoLink also tracks data across the entire forklift fleet to provide insight on fleet utilization, energy consumption, and service scheduling. InfoLink is specially designed with a user-friendly interface that provides helpful tools, such as real-time alerts, intuitive dashboards, and detailed reports, for managers, supervisors, safety managers and operators. This on-demand performance data will contribute to better decision-making as it allows clients to explore and analyze issues quickly, as well as set benchmarks via interactive dashboard tools. The solution can also be implemented with ease. By combining precise truck-based sensors, secure wireless data transmission, and a cloud-based management portal, InfoLink provides maximum bene­fits with minimal equipment or expense. The solution is also easily customizable, with modules to be installed on an entire forklift fleet; electric and gas forklifts, non-Crown lift trucks and other vehicles. InfoLink is available as a secure, scalable web-based solution, so its full functionality is available whenever and wherever required. XPO Logistics, one of the world’s largest and fastest growing logistics companies, referenced the operational results delivered in partnership with Crown. XPO Logistics required efficient, reliable and productive material handling equipment capable of synergizing with XPO staff and systems to meet and exceed the needs of its customers. With Crown’s InfoLink, XPO Logistics has successfully achieved its objectives at lower costs with higher productivity, improved safety and compliance, as well as optimized operations.